The family of missing Stacie Haynes are distraught over her disappearance last Wednesday. Apparently, the fifteen-year-old St George’s pupil has been sending text messages telling her parents not to worry. Stacie lives in Prince Charles Road St Peter’s with her father and was last seen on a train coming home from Sittingbourne with a friend who left the train at Birchington. Anyone with news of her please call the police on 222033. Ed: Just a thought people. 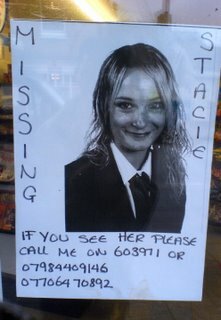 I’ve seen the “Missing Stacie” poster up for a few days now but didn’t mention it earlier because I had seen no supporting information. Almost a week has passed since she went missing and I can put an appeal like this up within minutes without having to wait for the police or the local paper. I can even see the local radio stations, BBC, KMFM et al, dipping-in each day to see what news is being carried. So please let others know that this is something that the website can be used for in an emergency. Every parents nightmare. My concern though is that this hopefully is not an abduction situation but Stacie's own choice. She has reportedly texted home to parents to say she is ok and don't worry; of course they will. 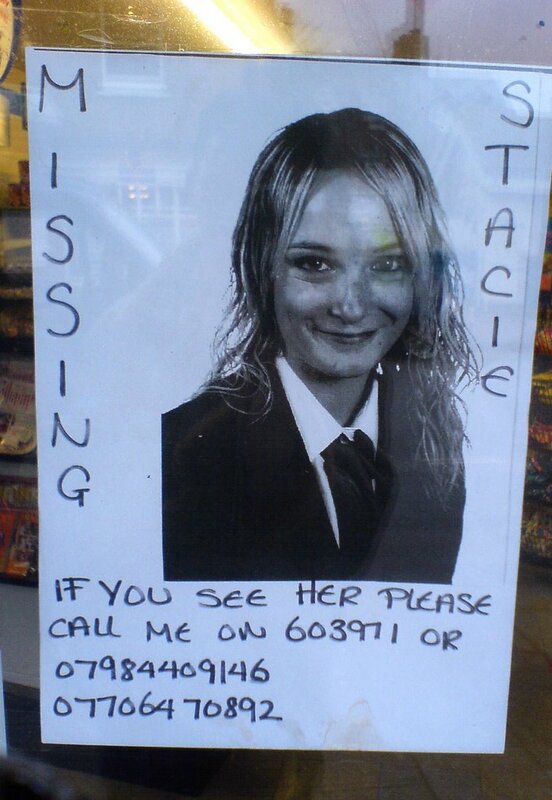 Stacie get home safely.